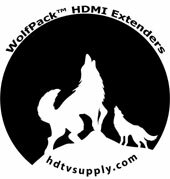 HDTV Supplys WolfPack HDMI Over LAN Adapter set sends HDMI from a Notebook or other HDMI device through a standard Ethernet network H.264 (LAN) to a display. The HDMI Over LAN Adapter supports both HDMI video and HDMI stereo audio. Our WolfPack HDMI Over LAN Adapter is IP addressable. The supplied remote control allows you to choose the source and the LED shows the group ID. The WolfPack HDMI Over LAN Adapter system is of POE Design & no AC power is needed when using a POE Ethernet switch. 2 - AC adapters are supplied of you use non-POE Ethernet switchers. The conversion to TCP/IP allows you to forego the limitations of point-to-point extender systems and transmit directly over your network. You can also use this set as a typical point-to-point extender and transmit for up to 394 ft over a single Cat6 cable or 330 feet over a CAT5e cable. In a one-to-many configuration the transmitter (TX) features a static IP address and can be paired with up to eight receivers on the same network. This HDMI Over LAN Adapter use the advanced H.264 as the compression type, which makes it occupy lower bandwidth and transmit over the LAN more smoothly. It supports 330 feet over single cat5e/6 cable at point to point, as well as point to many and many to many over Ethernet switch. The over IP solution is widely used in various locations, like meeting room, class room, metro, airport, home, mall advertisement...etc. 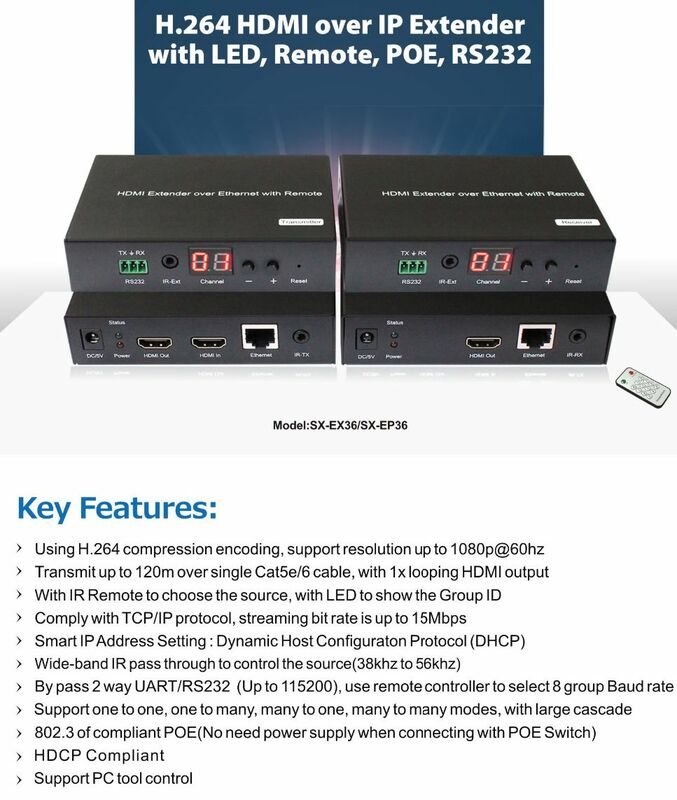 The WolfPack HDMI Over LAN Adapter consists of a local unit that connects to an HDMI source, and a remote unit that connects to an HDMI display. 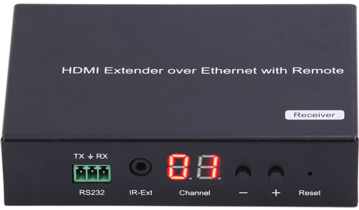 The local and remote units can be connected together for a Point-to-Point connection via CATx or a Point-to-Many connection with the above network Ethernet switch. Support for multiple transmitters requires a managed network switch. The HDMI Over LAN Adapter operates over a standard Ethernet Hub/Switch/Router and even supports direct connection up to ~330 feet away. Why not buy this HDMI Over LAN Adapter today? Our WolfPack HDMI Over Your LAN Adapter System provides one-to-one extension at distances up to 394 feet as well as many-to-many matrix switching of multiple devices, all with PoE support and convenient channel-viewing using the front panel LED display. Support for multiple transmitters requires a managed POE network switch with VLAN/IGMP support. Standard LAN switches can only support one transmitter. The POE managed switch must support port based IEEE 802.1Q VLAN, IGMP, and permit duplicate IP addresses across the VLAN domains. For a point-to-many connection, a standalone network with an POE unmanaged network switch, hub, or router can be used instead of a managed network switch. If possible, it is not recommended to use any other network devices on this standalone network as it may cause a degradation in performance. Note: At high resolutions, characters on PCs may get slightly fuzzy due to image compression and decompression process so use the Sharpness, Contrast, Brightness and Tint controls on the TVs to optimize the image.